Title: Car Talk Classics: No Factory Recalls. So Far. There may be an occasional flaw in the auto expert advice of brothers Tom and Ray Maggliozzi, but the complaint box remains empty, with no factory recall in sight. The next entry in the ever popular Car Talk Classics series features four all time favorite Car Talk episodes, hand-picked by host Click and Clack, the Tappet Brothers, and presented here together for the first time. Car Talk continues to be one of public radio's most popular and laugh-inducing programs, with a weekly audience of 4 million listeners. Car Talk, winner of a Peabody Award, is broadcast each week to NPR stations nationwide. The world's wackiest call-in show, it mixes automotive advice with wisecracks, roadside philosophy, and guffaws. No problem is too ridiculous, no solution to absurd, and before you know it, "you've wasted another perfectly good hour listening to Car Talk." Or, in this case, four. Find out more at www.cartalk.com. "Don't drive like my brother!" 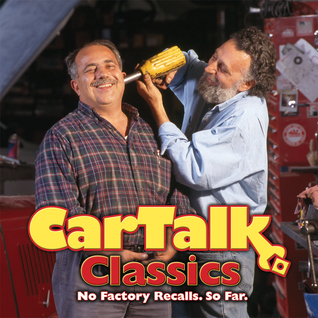 CAR TALK CLASSICS - NO FACTORY RECALLS. SO FAR with Click and Clack is truly a priceless classic! Don't be fooled by the title, as even though it sounds like it's written for mechanics - and I'm sure mechanics enjoy the show - the show has broad appeal and provides comic relief to everyone! The show is known for the callers who call in with the craziest problems. Relationships are freely discussed in a most hilarious manner. It's like a radio version of I Love Lucy on steroids. In case you don't know, the show hosts, Click and Clack, are really two brothers, Tom and Ray Maggiliozzi, also known as the Tappet Brothers. The brothers have been dishing out their car wisdom spiced with lame jokes, ham-fisted antics, knuckle-headed comments, puzzlers and moronic advice that can't help but leave their listeners laughing out loud since 1977 when the show started. It moved to NPR in 1987 where it's been ensconced as a fan-favorite ever since. I love the show's music! The music that opens and closes the show always reminds me of the Beverly Hillbillies theme song. It is actually a bluegrass ditty named 'Dawggy Mountain Breakdown.' The show also always includes other car-themed music which never fails to make me smile and get my feet tapping. LOL! I have been a fan of Car Talk on NPR for as long as I can remember. I've been known to stop what I was doing to run to a radio to listen to the week's show. I was thrilled when I saw this four-disc set so I could get my Car Talk fix even when it wasn't playing. I never get tired of Car Talk! Here's a little preview of just a few of the highly entertaining segments in this CD set. • The conversation about the goats and Doris was beyond hilarious! 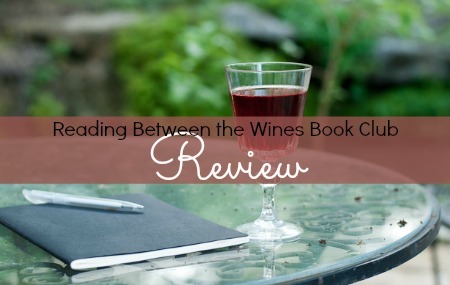 • The brothers had some very pertinent advice to one guy that cracked me up and actually rang true: "Never own anything you don't want to lose in a divorce." • This set includes a call in to the show from space. An astronaut called describing "problems" with the shuttle. This particular call fascinated me so much I had to investigate. I learned that STS-67 Mission Specialist John Grunsfeld actually interned under two very dubious Massachusetts grease monkeys - namely Tom and Ray. I also learned that this wasn't his first call into his former bosses from space. I had totally missed hearing them previously and am so glad I caught them on this set! • Finally, wait until you hear the advice given to a woman from Alaska who can only drive her truck backwards uphill. Where do they find these people? AND this is just a very small taste of the enjoyable treats waiting for you in this CD set! Sadly, Tom passed away on November 3, 2014 of complications from Alzheimer's disease. The show is no longer being produced but it's still very popular on NPR. This audio set had me laughing out loud through-out. I can see myself listening to it over and again. I am not mechanically-minded in the least and you don't need to be to enjoy listening to Click and Clack! My son, who has listened to the show with me many times since he was little and is also not mechanically inclined, has been known to quote them. My mother was a huge fan of the show, too, so it's a show for all ages. Watch out, though, as you might pick up some handy car tips while you're being highly entertained! I would think that this set would be a must-own for fans of the Tappet Brothers. I highly recommend to anyone who enjoys slapstick comedy! It's a hoot!